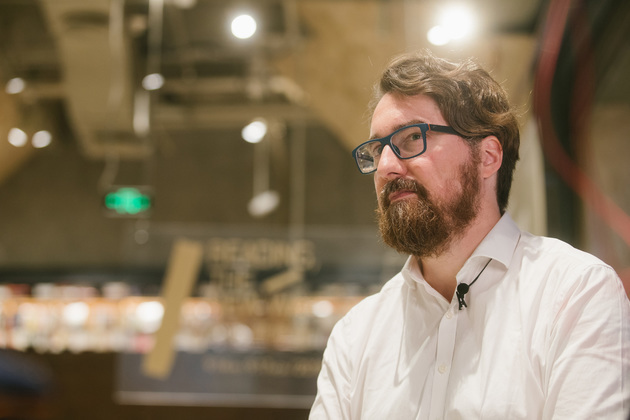 Sept. 17 (NBD) -- Literature provides a way for us to understand the world and brings us the hope and faith to change the world, David Meulemans, founder of France-based publishing house Aux Forges de Vulcain, said to NBD in an exclusive interview at the 2018 Chengdu International Bookstore Forum, which was in its third year and held on September 14-17. In addition to entertaining function, literature should bring people profound thinking, he underscored. NBD: What type of literature are you most interested in? Who's your favorite writer or poet in France? Meulemans: To be frank, I really love surrealistic literature which renders my life with its magic color. I love reading the works of Alain Fournier and Georges Perec. As a publisher, many surrealistic literature works come out after my selection, most of which are obedient to the tradition of surrealistic literature. Compared to some other countries, France is so fortunate that there are myriads of literature types and many shining stars of writers and poets, which makes it difficult for me to recommend only one writer or poet to foreign readers. In my eyes, I think Maupassant can be bellwether of French literature because his works profoundly reflect French society and embody the spirit of France. I started reading his novels when I was very young. NBD: Famous English philosopher and writer Francis Bacon said in his essay Of Studies, "Studies serve for delight, for ornament, and for ability." What do you think of literature's functions? What are your initiative ideas about founding Aux Forges de Vulcain? Meulemans: I think for many people reading literature works can ease their mind and release their pressure. They deem it a way of entertainment after a tedious working day and want to escape from the depression feelings sometimes. I think literature provides a way for us to understand the world and brings us the hope and faith to change the world. When I select novels to publish, I hope novels can encourage people with faith and aspiration. I hope literature works can change terrible attitudes and biases of people and facilitate them to improve self-cultivation. I always believe there is something lofty in literature. My life also changed through literature. In a word, literature should provide people profound thinking besides its entertaining function. NBD: In recent years, many traditional publishing entities, magazines and bookstores have suffered from the impacts of digitalization. What's your attitude towards digitalization? What do you think of the impacts of digitalization? 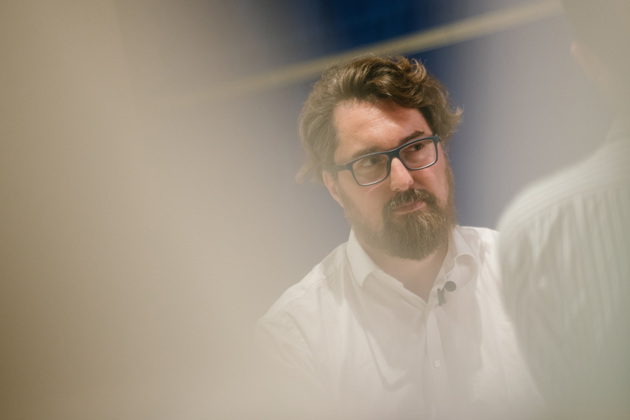 Meulemans: In fact, I'm open-minded towards digitalization. In the early stage of my publishing career, I invested in digital media and e-books. The wave of digitalization in the traditional publishing industry reached its peak between years of 2010 and 2012 in France, when the government and many private companies accelerated and enlarged their investment in digital media. Since then, the impacts of digitalization have been gradually dimilishing. Taking my publishing company for example, it focuses on publishing novels. Today, French readers still love reading print books. Around 98 percent of our sales are from print ones. But in the field of professional and technical books, e-books are gaining in popularity. These books require timely update and revision. E-books can improve the efficiency and lower the publishing cost. NBD: What kind of innovation did you witness in publishing industry? Meulemans: As a traditional industry, the publishing sector needs innovation. According to my personal experience, I created an online writing platform for writers to realize their value and improve their income through new technologies. Many people along the chain of the publishing industry make a lot of money, but many writers earn less than they should. NBD: What's your impression on Chengdu? Meulemans: Compared to many European cities, Chengdu is no doubt a metropolis surrounded with high skyscrapers. What strikes me most is that Chengdu has a great combination of traditional and modern styles, especially in the area called Taikoo Li where traditional houses and modern buildings are shining upon each other. 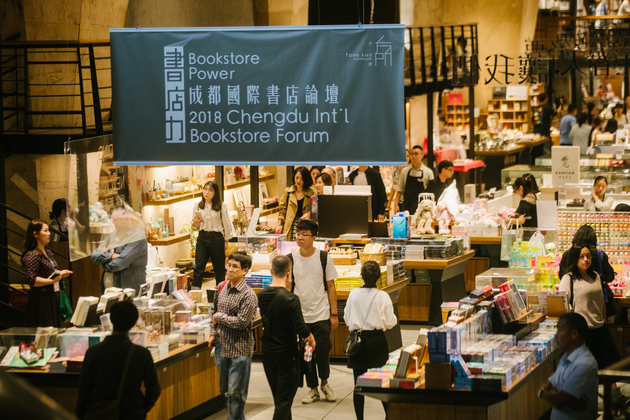 What's more, I noticed that bookstores in Chengdu tend to be large in size. I live in Paris. We have many bookstores there. But even the famous chain bookstores don't have larger space than these in Chengdu. NBD: What's your knowledge about Chinese literature? Will you plan to publish Chinese literature works on your platform? Meulemans: I've been enthusiastic about Chinese culture for a long time. As one of the four ancient civilizations, China has a very favorable cultural environment. As a publisher of literature, I love reading Chinese literature works and I've been longing for communication with the Chinese literary circle. My favorite Chinese traditional novel is "The Water Margin." Many French publishers don't understand Chinese culture and they seldom choose Chinese novels to publish. Young people of France are not familiar enough with Chinese literature. I hope more Chinese novels can be translated into French, and vice versa. Normally speaking, there are mainly two types of Chinese novels published in France: the realistic novels and sci-fi ones. A decade ago, some Chinese sci-fi novels were introduced into France among which "The Three-Body Problem" sprang into fame. NBD: Which areas of the cultural industry can China and France explore together? Meulemans: The cooperation between the Chinese and French cultural industry is deepening. But in some fields, deeper cooperation is expected. Chinese electronic games industry is experiencing fast development. And the industry is also one of the pillars of the French cultural industry. It's quite mature in marketing and technologies. We can cooperate with each other. At the same time, France has a highly-developed movie industry. And I know China also has a long history of movie making. In the past few years, Chinese directors and movies won worldwide acknowledgement and fame. There's a huge space for future cooperation in movie industry between both countries. Last but not least, I want to say that the French publishing industry has been comparatively retreating into its own shell for a long time. People get used to doing business in a small circle. In a globalized world, the French publishing industry should be more open-minded to the world, especially to the Chinese market for further communication and cooperation.